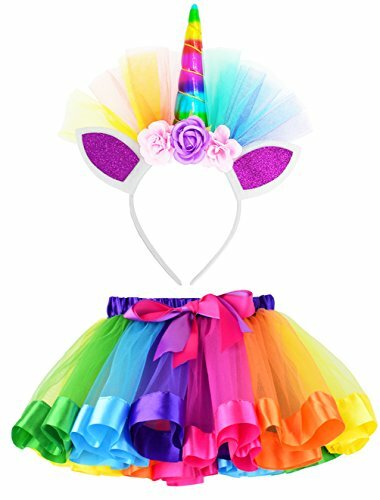 Colorful Rainbow tutus for girls available at loveyal store! 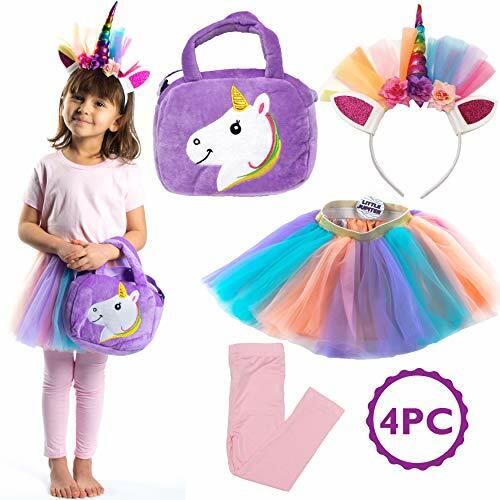 Matching unicorn horn headband carefully selected for you! 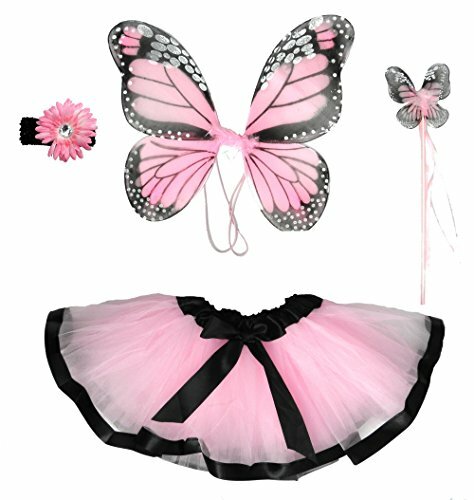 Features:*tutus made by different colored high quality tulle. *elastic waist which can fit kids at different age. *the headband fits girl over 2 year old. 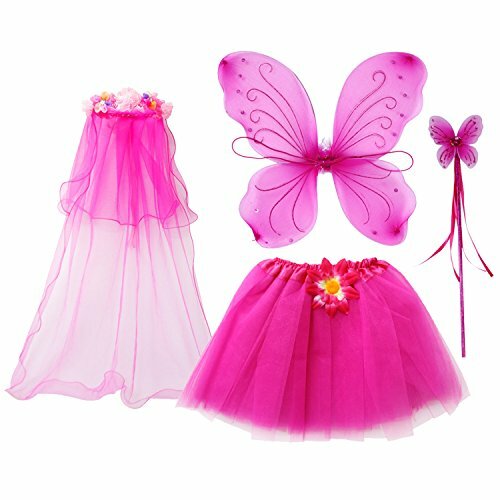 *suitable for different occasions, great gift for your little girl. 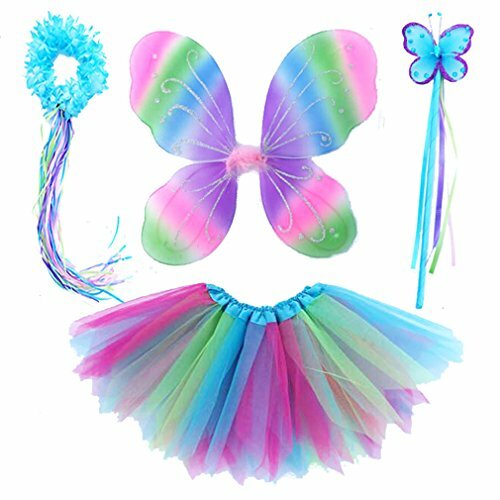 Colors: 4 colorful tutus with headbands are available at the moment. 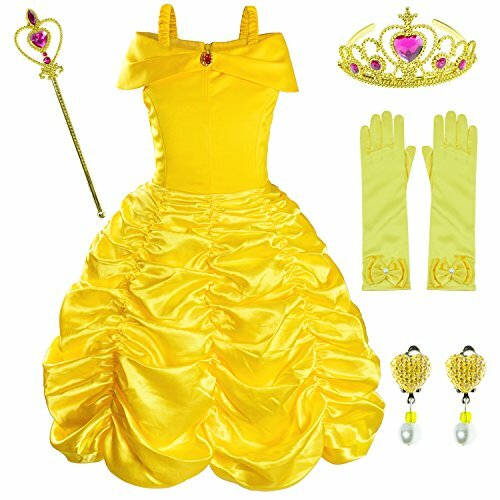 size: size m age 2-4 years length 9.7" adjustable waist 9.3" - 16.4"size L age 4-8 years length 11.2" adjustable waist 10" - 19.2"tip:*we suggest hand wash and air dry. *please allow a bit measurement difference. (0.5")*if your girl slightly fat or thinnish than the same age please plus or minus one size. *any other questions please feel free contact us, enjoy your shopping!